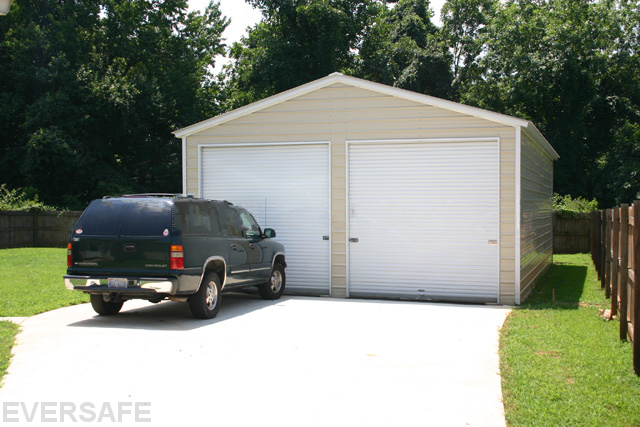 A Longlife steel garage is the perfect solution for any one or multiple car garage, storage shed or house application. With colored panel choices and many accessory options available, you can create a unique addition to your home and gain peace of mind knowing your possessions are protected. Longlife is the economical choice for constructing a new metal workshop garage building. When building with steel it will save you time on construction, money on high-priced contractors, energy costs and future maintenance fees as the Galvalume steel lasts longer than any other building material! 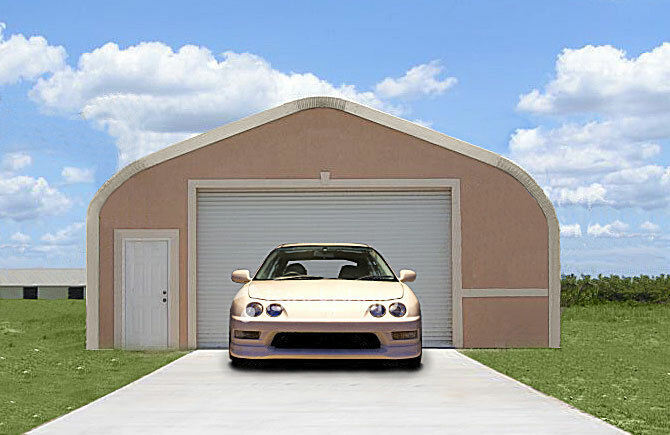 Are you interested in a Prefab Residential Garage Building? Contact Longlife Today! 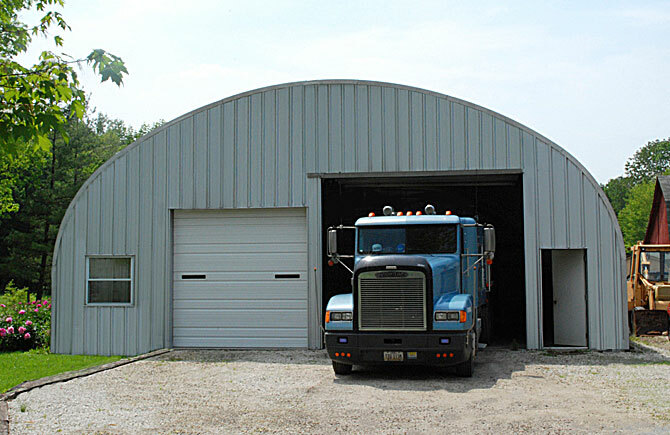 Assemble your new arch steel Building with our easy do-it-yourself bolt together design. 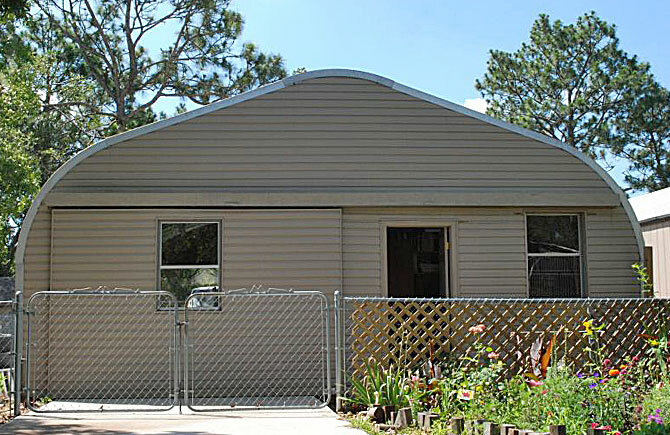 Use our factory prefabricated ends or customize your own to complement the surroundings. 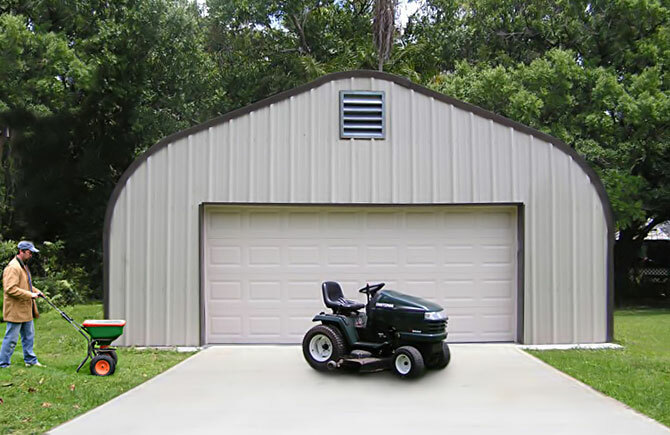 Simple quick-build instructions are included in addition to the 35 year warranty when you purchase a new long-lasting DIY metal garage building kit that will be sure to satisfy your residential storage needs! 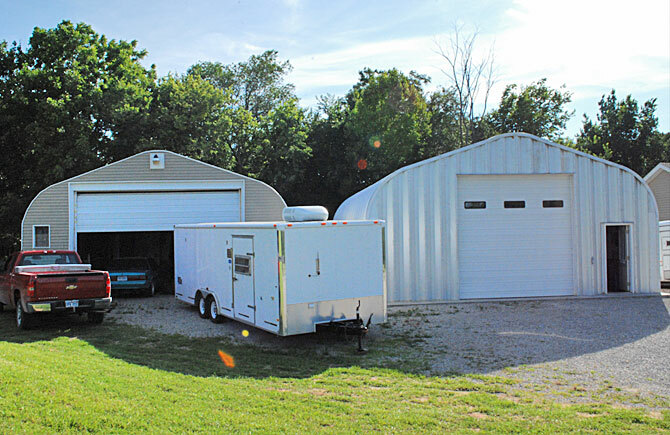 Your new Quonset style building may be used for many different applications such as: One, two, or three car garages. Many customers decide to build their own endwalls in order to match the appearance of other structures on the property, provide an architectural accent or have a particular look to their Prefab Garage Building. There are numerous materials that can be used as a façade for the building’s ends including brick, block, vinyl siding, wood or shiplap siding, horizontal logs, glass, etc. These materials can also be combined to create a wainscot appearance with brick for the first 36-42″ and then wood or another material above for the remaining exposure. 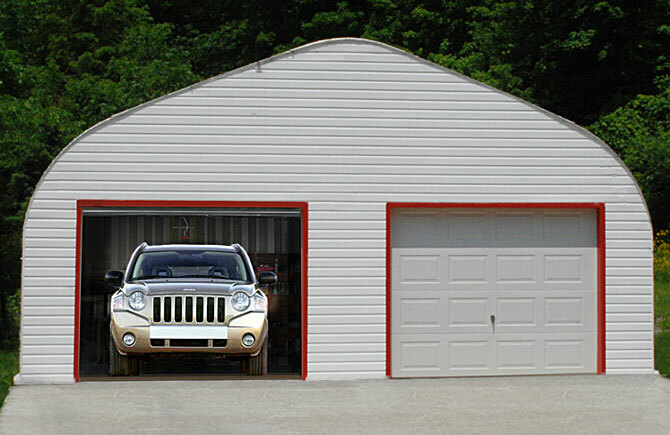 It is actually quite simple for the do-it-yourselfer to customize the endwalls of a Longlife Garage Building. They can be installed flush with the actual end of the building or recessed several feet into the building itself. When the custom ends are recessed into the building, it creates an overhang and enhances the building’s overall appearance. The first step is to determine where the building’s contents – vehicles, tools and equipment workbenches – will be situated. Only then can you layout the optimal locations for your door and window openings. Always prepare a drawing before starting construction of your endwalls. Be sure and allow for the effects of wind load and snow drift in your endwall design. Simply stud up a wall using wood or steel channels vertically and attach them to the top of the Garage Building at the end. The factory manufactures an adaptor angle, which is available as an option that goes around the lip of the open end so that the customer supplied endwalls can be attached. Either plywood or OSB is then attached to the vertical studs with a layer of a weather resistant barrier (WRB) such as Tyvek® stapled to it to repel and prevent water and air from penetrating. Your stud wall is now ready to receive the siding or brick façade.